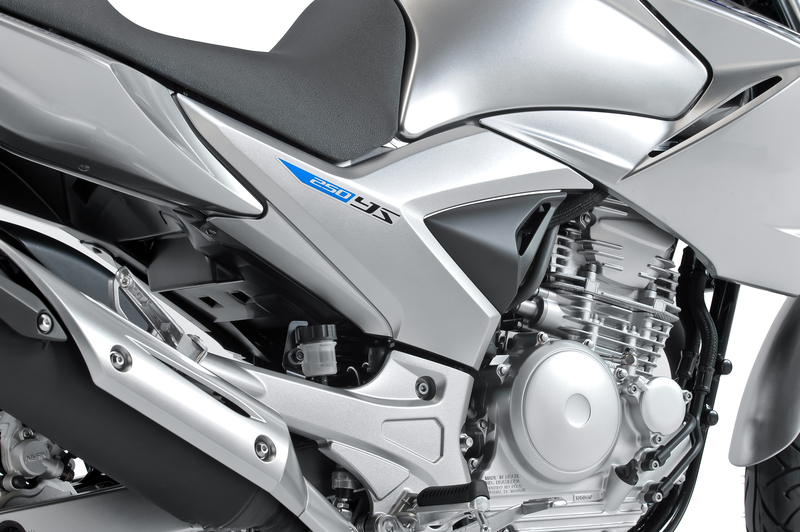 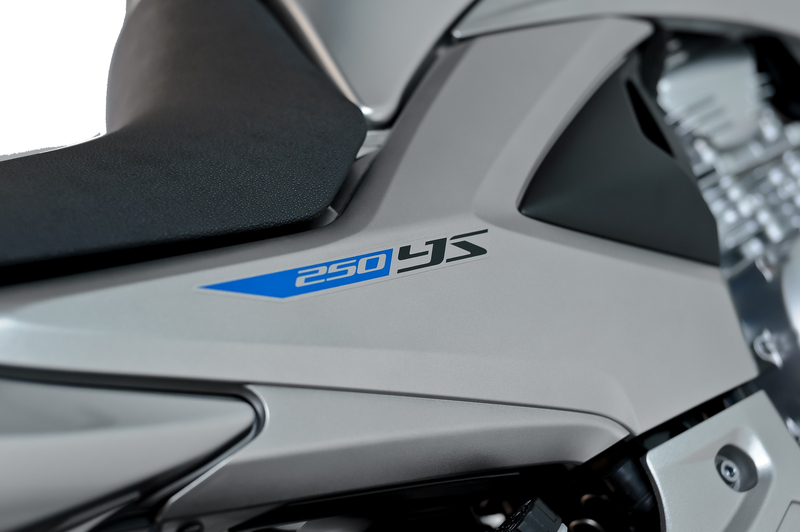 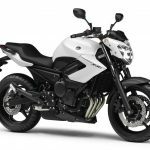 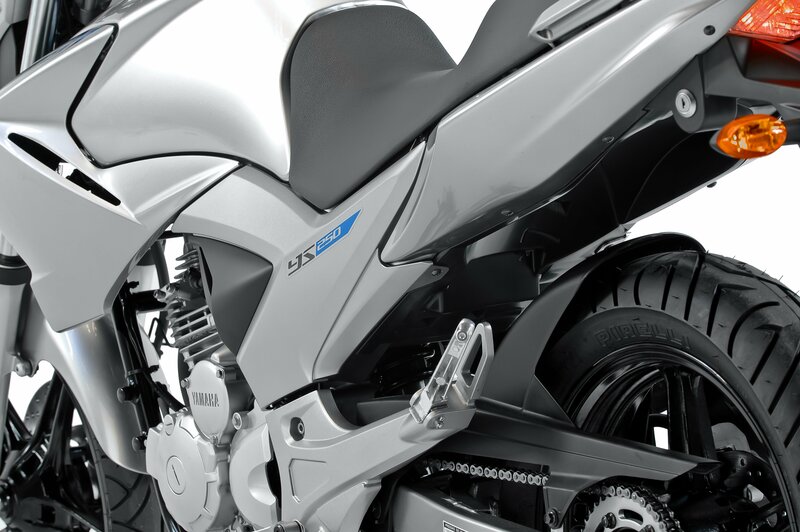 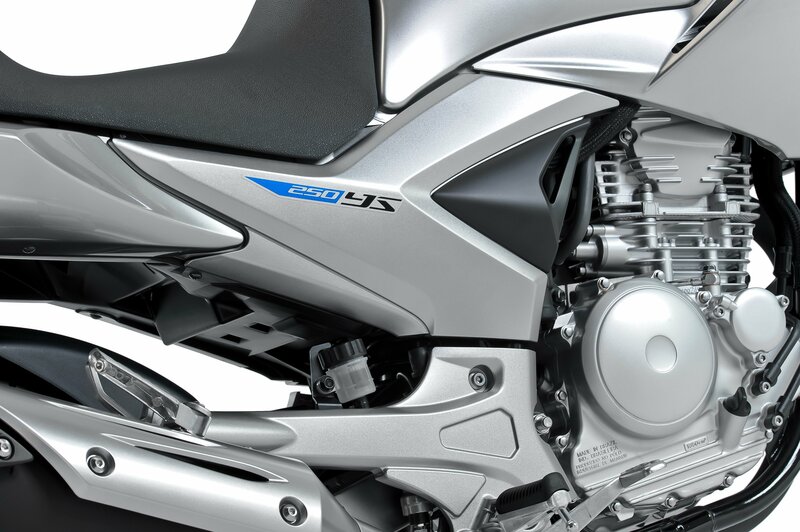 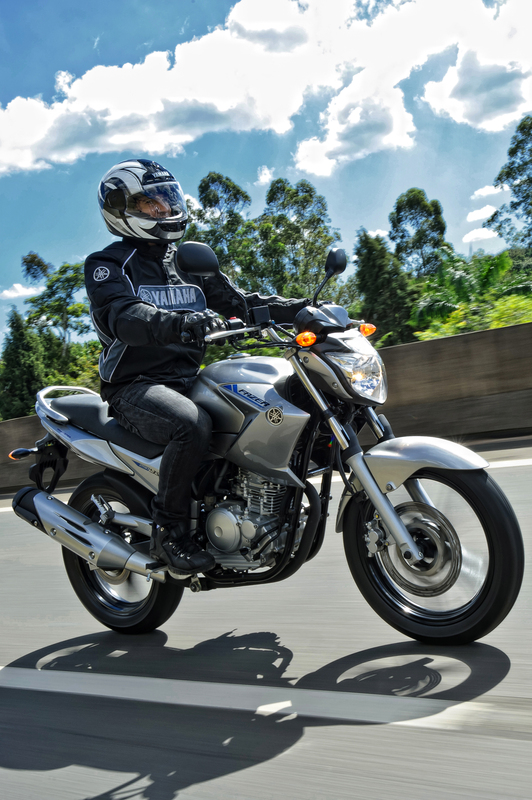 Yamaha unveiled a new version of its YS250 Fazer for the Brazilian market that runs on gasoline, ethanol fuel, or a mixture of both. 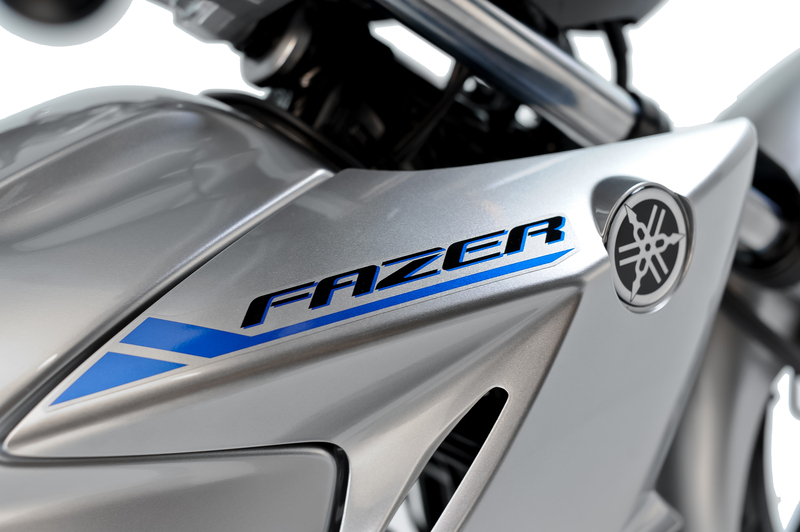 The new YS 250 Fazer BlueFlex is Yamaha’s first flex-fuel model, but the manufacturer says it plans to add more BlueFlex models in the future. 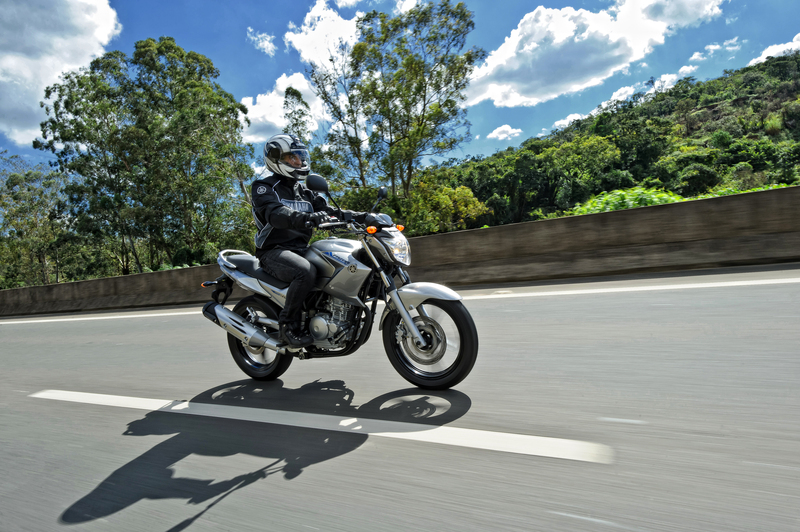 Brazil is the world’s second largest ethanol fuel producer and the most successful biofuel-based economy. 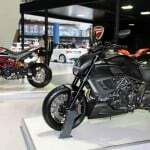 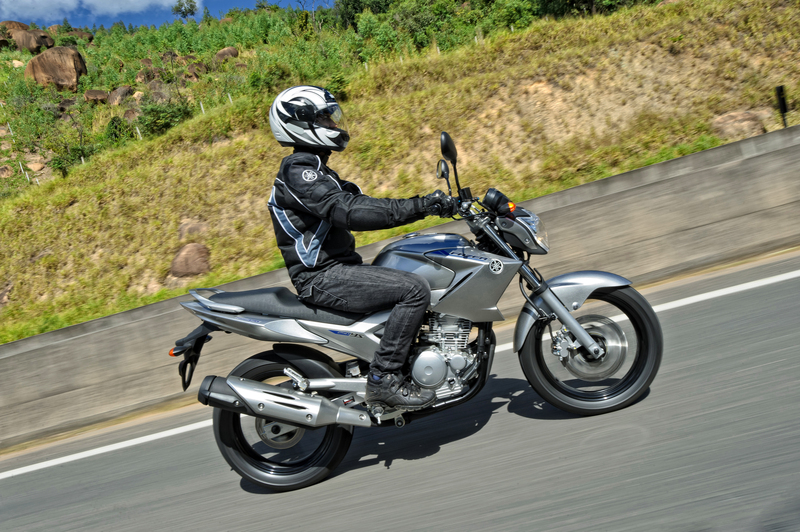 About 90% of all new cars sold in Brazil use ethanol but flex fuel motorcycles are relatively new. 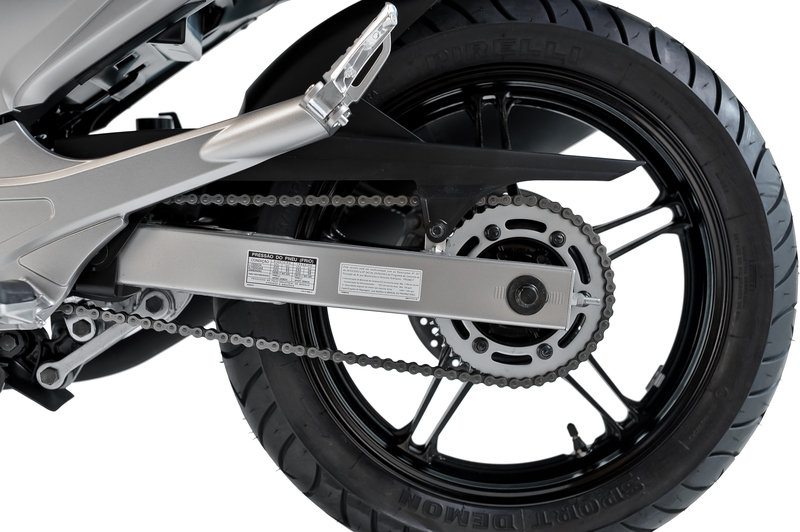 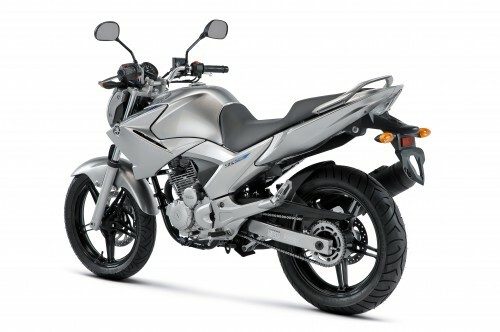 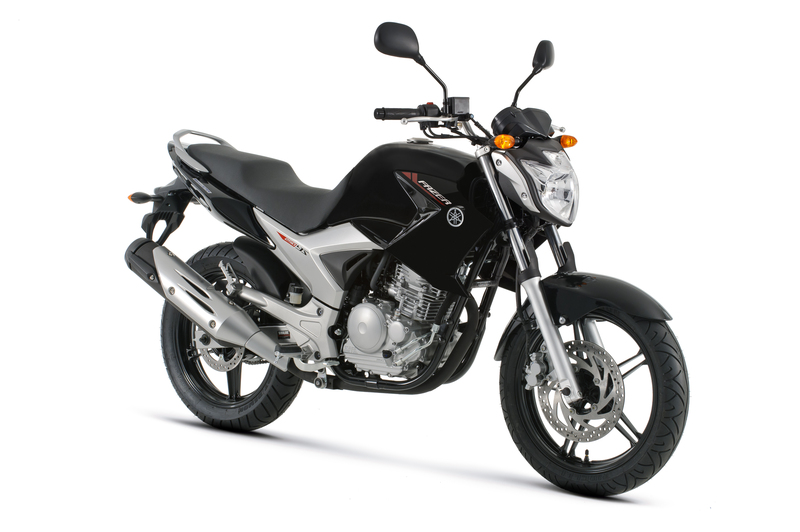 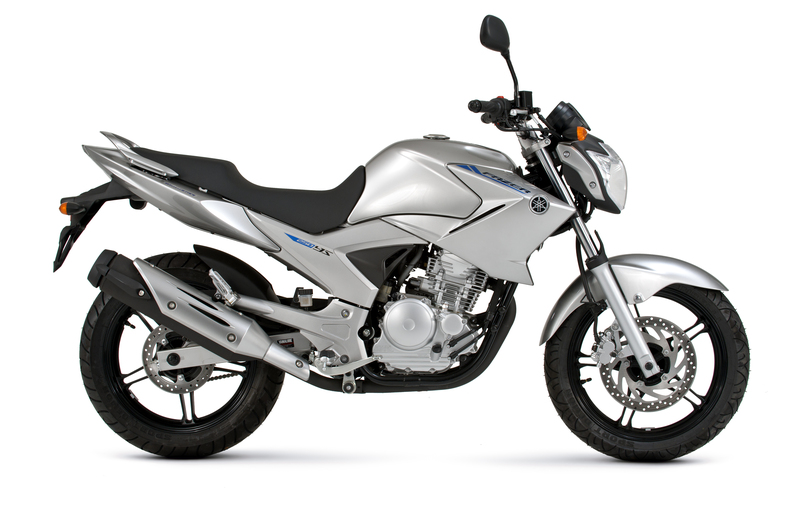 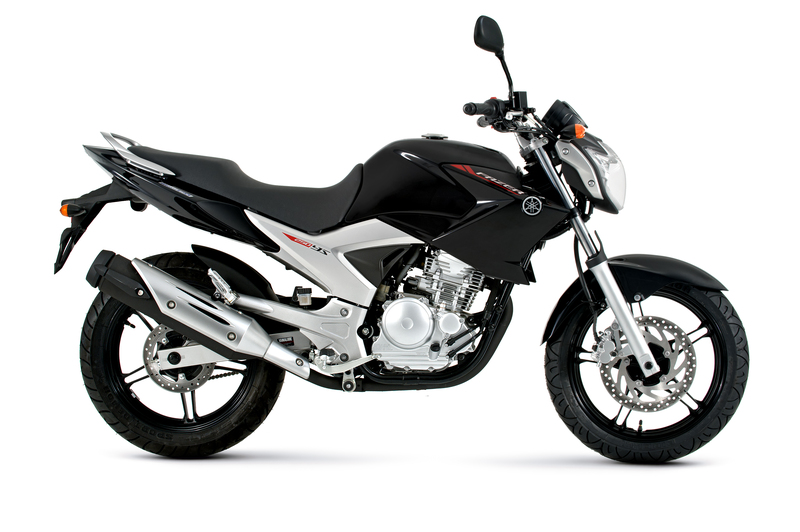 Honda launched the first flex fuel motorcycle in 2009, the CG150 Titan Mix. 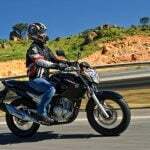 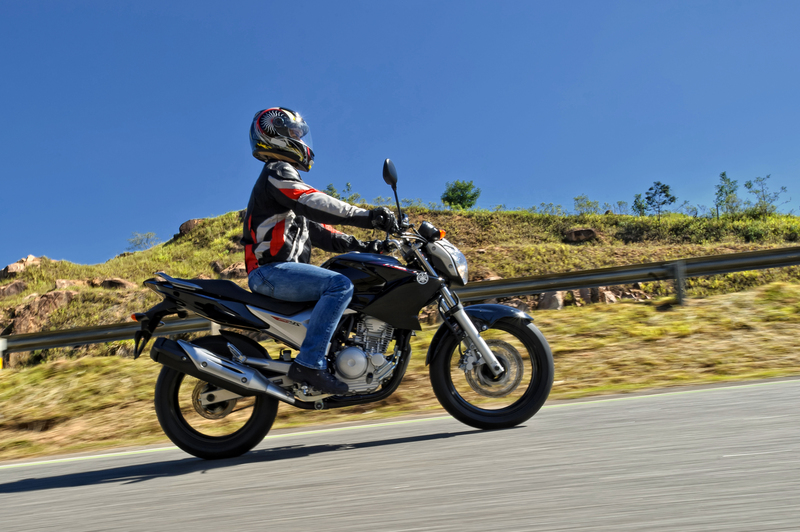 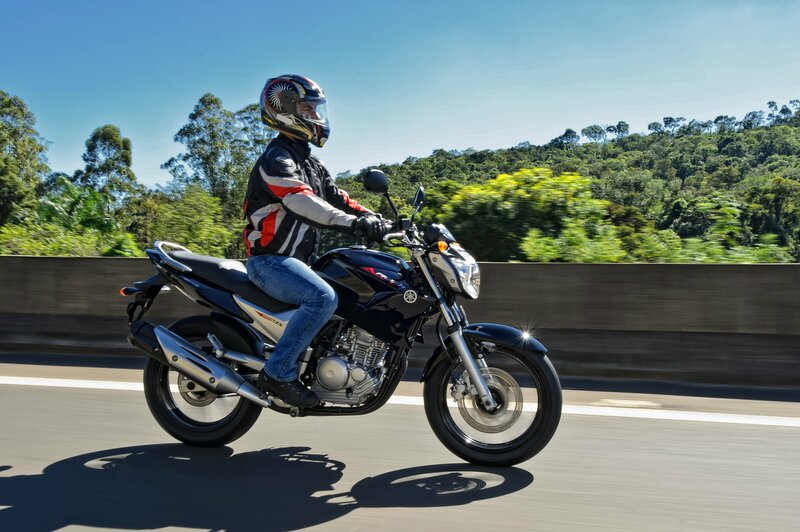 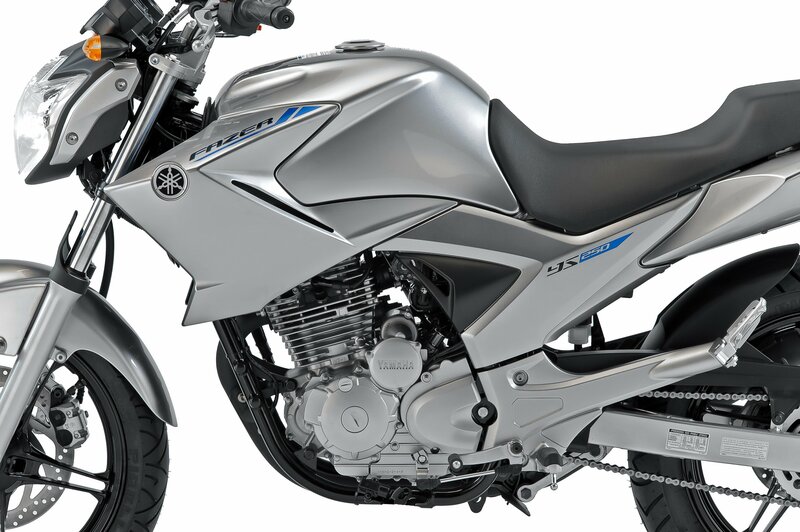 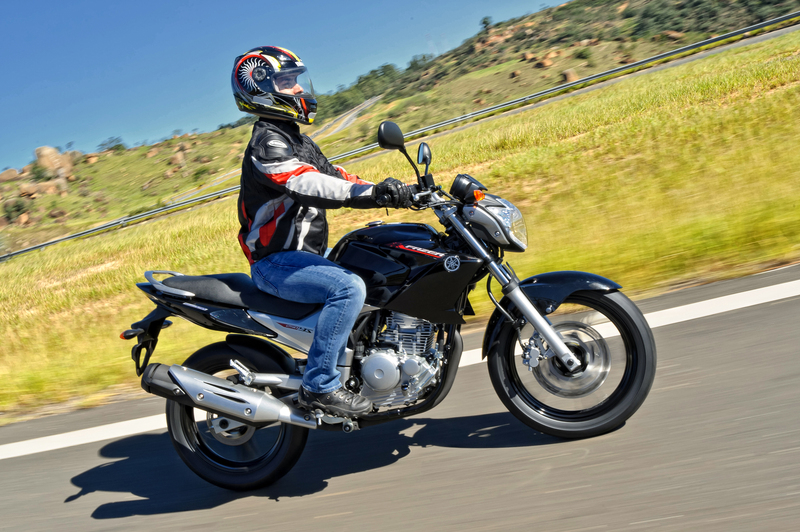 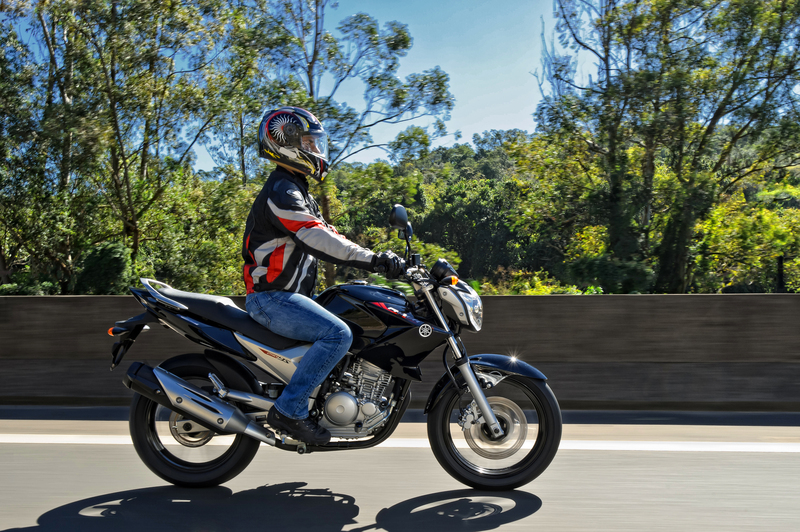 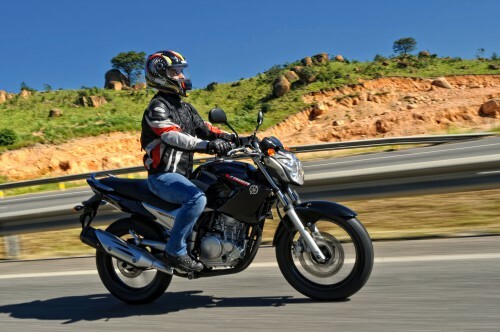 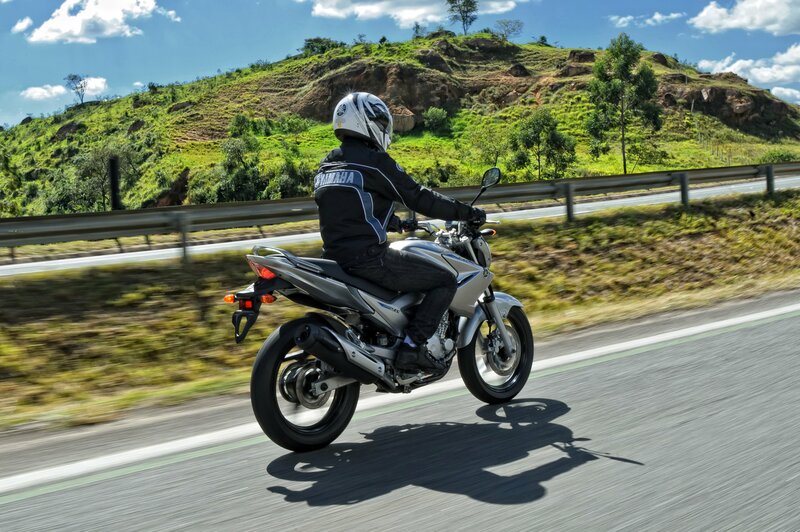 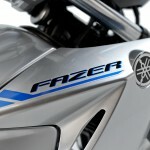 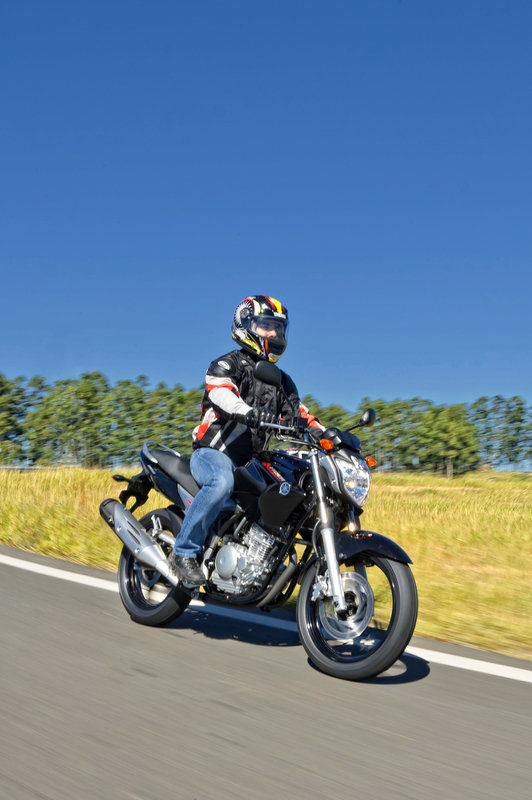 At 249cc however, the Yamaha YS250 Fazer BlueFlex becomes Brazil’s largest-displacement flex fuel motorcycle. 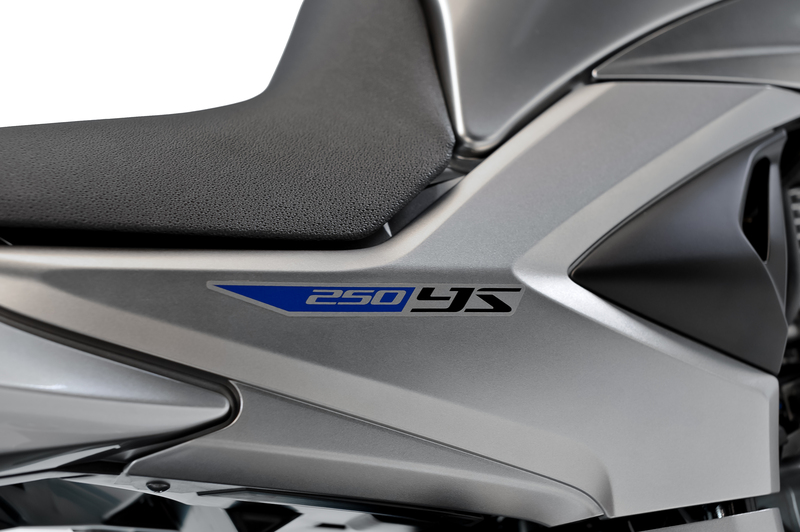 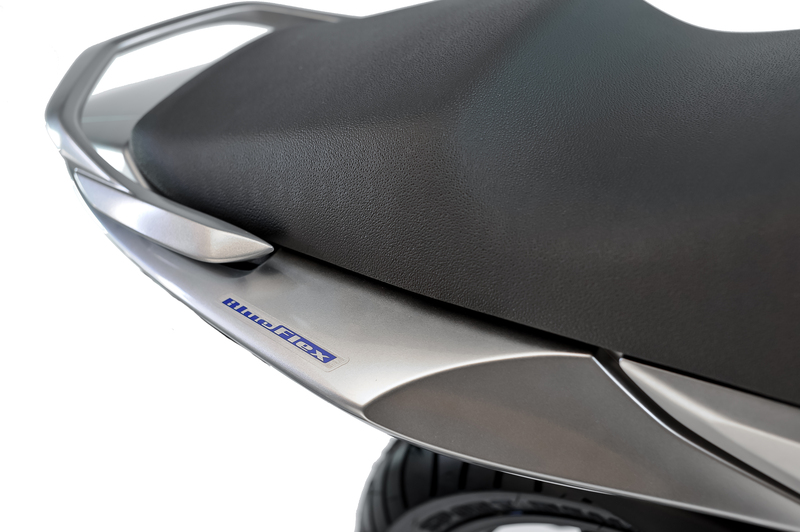 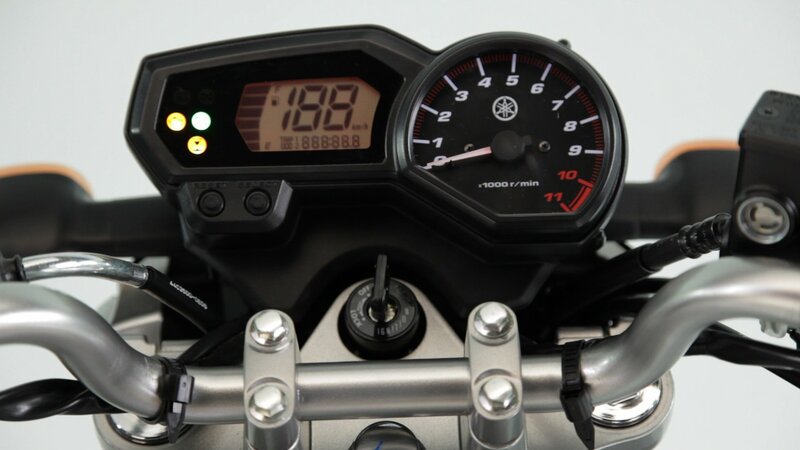 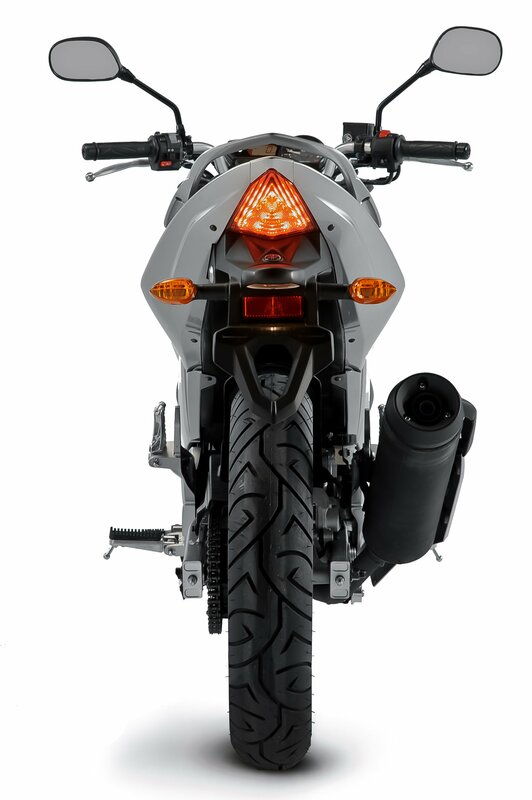 According to Yamaha, the BlueFlex model weighs 339.5 pounds, just 2.2 pounds heavier than the original YS250 Fazer, which Yamaha introduced in 2010. 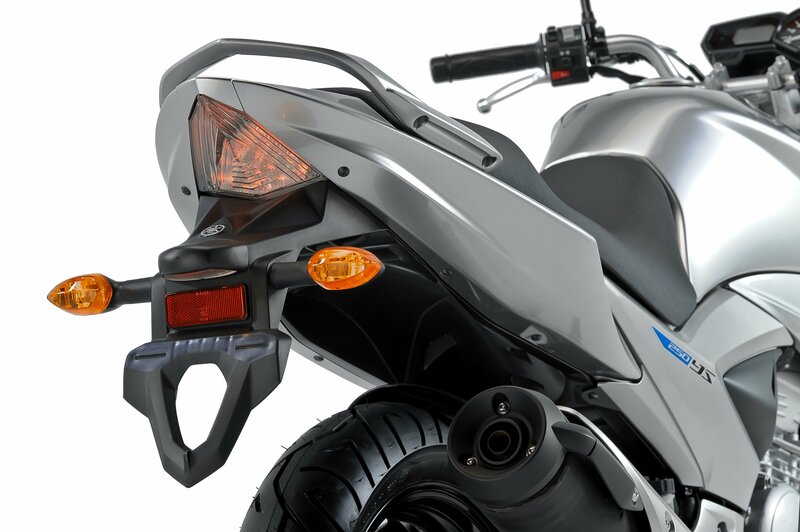 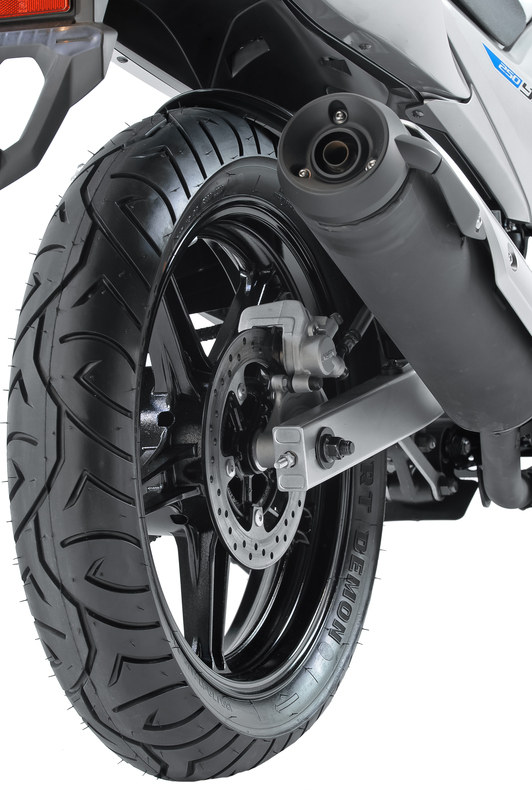 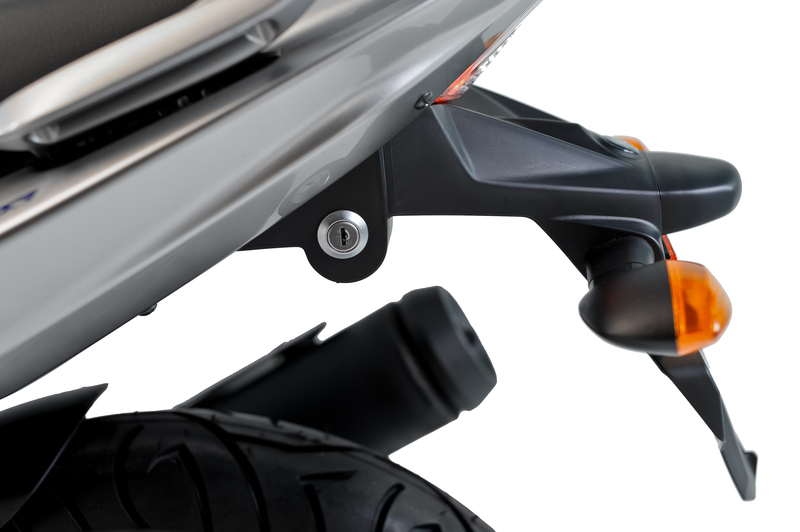 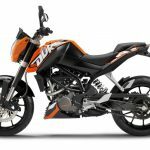 Both versions are equipped with 249cc single-cylinder engines with five speed transmissions, 5 gallon fuel tanks, telescopic forks and a rear monoshock with 120mm of travel, front and rear disc brakes and 17-inch wheels. 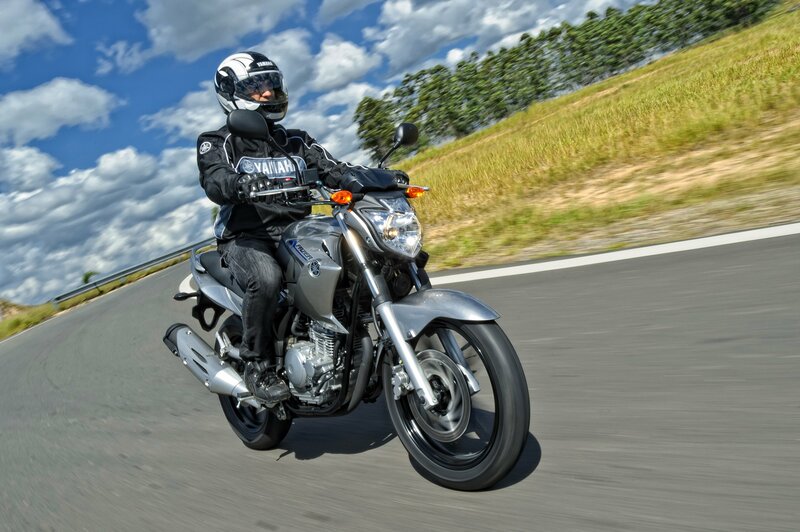 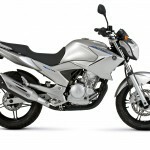 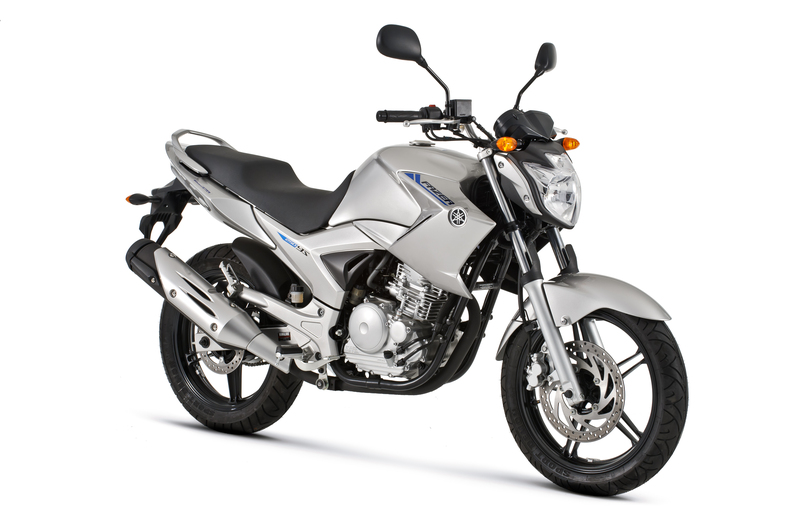 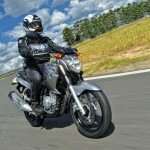 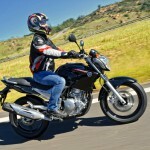 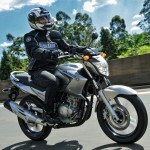 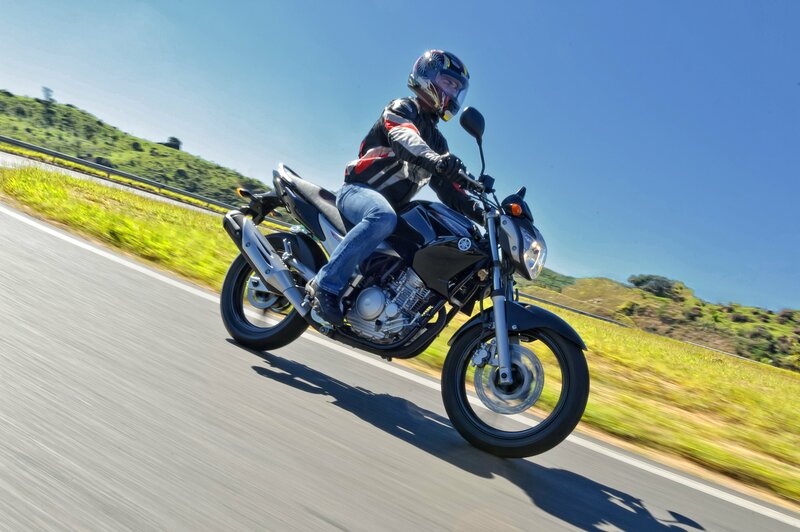 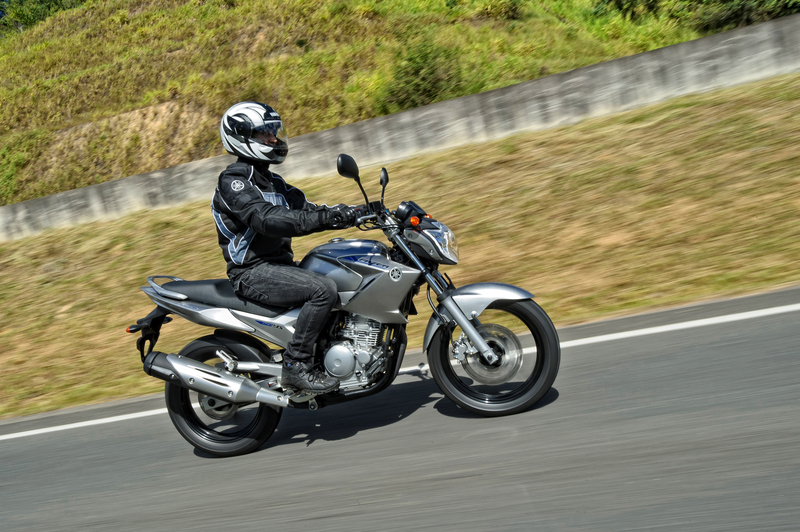 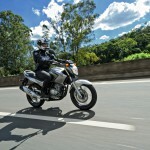 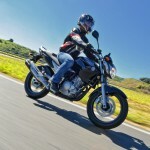 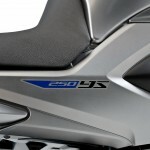 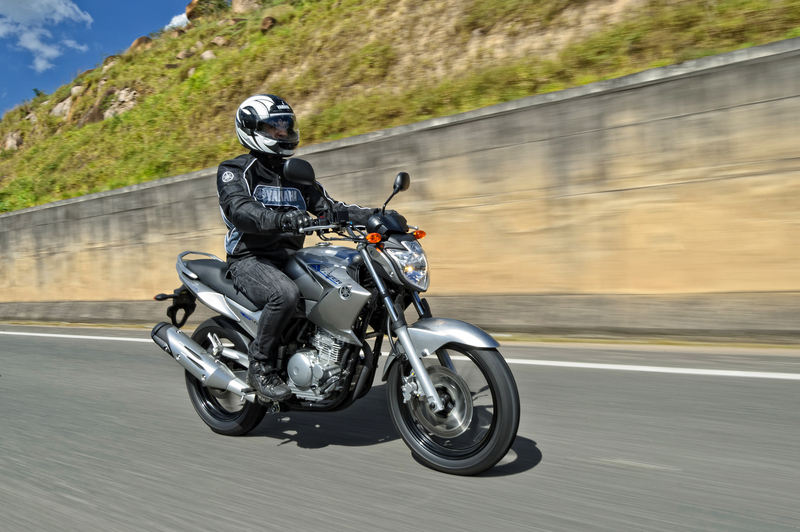 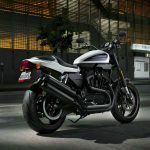 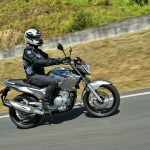 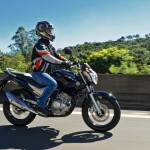 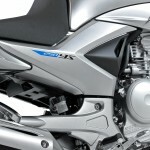 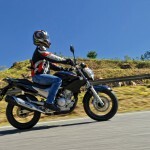 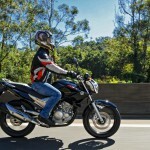 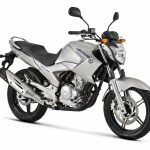 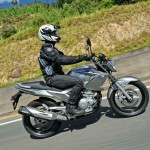 The 2013 Yamaha YS250 Fazer BlueFlex arrives in Brazilian dealerships this month with a price of 11,690 Brazilian reals (US$5,770), up from the 11,279 real (US$5,567) price of the gas-powered YS250 Fazer. 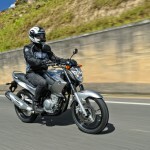 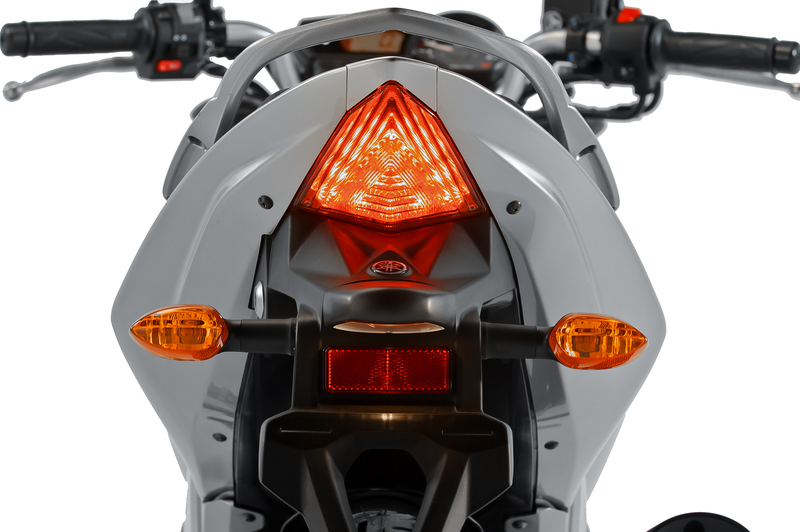 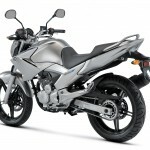 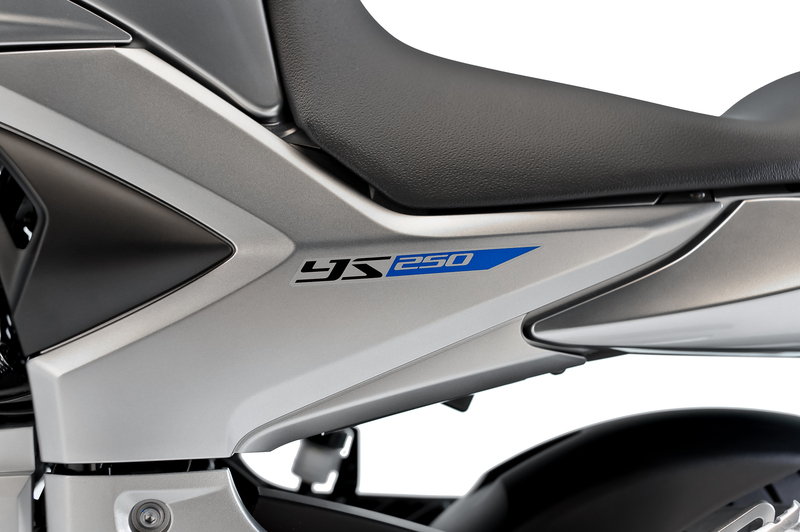 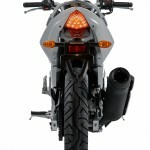 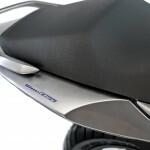 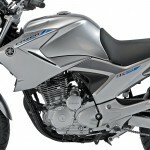 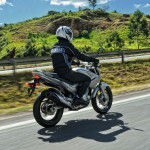 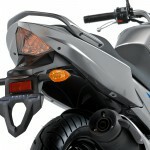 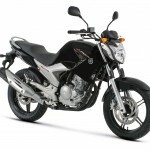 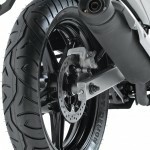 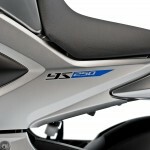 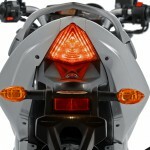 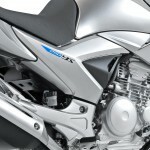 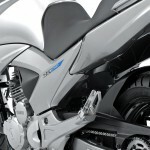 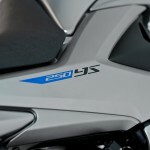 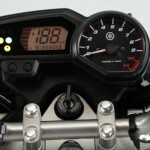 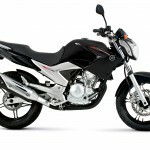 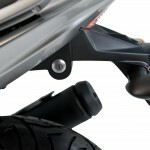 Yamaha targets annual sales of 5,000 units, compared to 25,000 units for the gas-powered version.